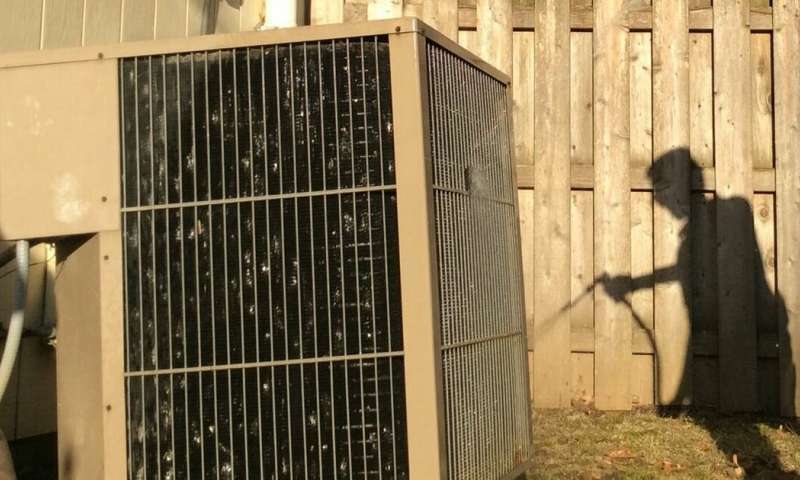 I asked my neighbor who hoses off his air conditioner condenser every spring why he does it. "Because my dad always told me I had to," he said. Conventional wisdom like what my neighbor's dad imparted may always seem right. But through my HVAC scholarship – the study of heating, ventilation and air-conditioning systems – I've learned that this particular presumption is probably wrong. The equipment I'm talking about washing is the outdoor part of central air-conditioning systems that move heat from homes into the outdoors. Stuff like windblown seeds, dust and grass clippings tends to collect on the coil surface. Most homeowners and HVAC companies envision that this untidy-looking stuff acts like an insulating blanket, slowing down the passage of heat from inside to outside. Any debris that accumulates would also interfere with airflow over the coil, further restricting the system's ability to expel heat. 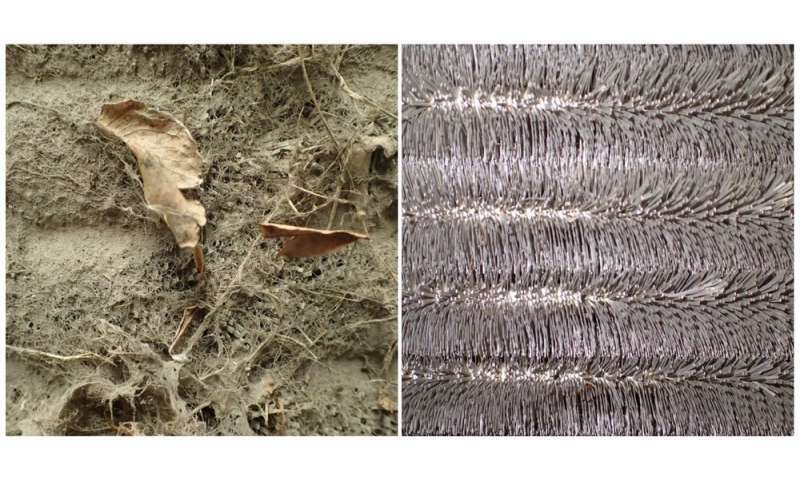 Previous work on this question simulated outdoor dirt with synthetic materials in a laboratory setting, or used reduced airflow as a proxy for the effects of dirty coils. Although it's necessary to carefully to control operating conditions, we took a novel approach: collecting condensers that had gotten dirty through ordinary residential use, and bringing them to the lab for study with a special test apparatus. To see how the equipment's performance could improve by getting dirty, we did further testing. That next round of study suggested that the accumulated dirt stirs up the air passing over the condenser coils. Technically called "turbulence," these little gusts can transfer heat away from the coil better. For some coil designs, this can cause the equipment to perform better when it's dirty than when it's clean. This is true even when the dirt has reduced the airflow rate. 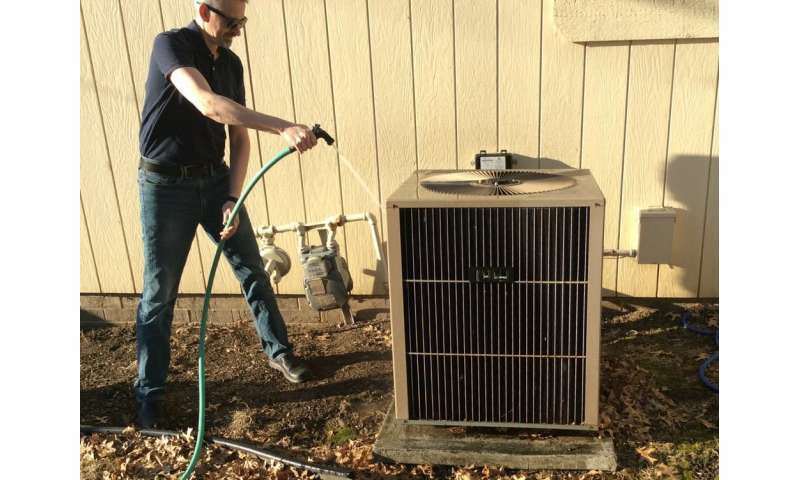 If your home has one of these things, you are probably wondering whether you should you wash your own condenser. Here's what you should know. Cleaning your air conditioner might make it run better. It might make it run worse. But it probably won't make any difference. I now personally believe in skipping this task, unless the coil is so dirty that it's hard to see the metal fins. Although, if it will make you feel better, go ahead and hose it down. To be honest, that's what I plan to do from now on. Letting go of deep-seated beliefs of any kind is hard, whether it's that dieting makes you lose weight in the long run – something recent studies do not support – or if this particular home maintenance ritual is justified. As news of our findings spreads, I'm bracing for some unpleasant responses from people who might lose out if the condenser-cleaning business dries up and others who simply refuse to accept that there was no basis for the conventional wisdom on this question. We're close to April Fool's Day and this article has prank written all over it. I'm a bit surprised though that Physorg would print something that discourages people from increasing their energy efficiency through routine maintenance. "Cleaning your air conditioner might make it run better. It might make it run worse. But it probably won't make any difference... Although, if it will make you feel better, go ahead and hose it down. To be honest, that's what I plan to do from now on." Published by "The Conversation," whose motto is: "Academic rigor, journalistic flair." I'd say it's more click-baity tabloidy sensational flair than rigor, and it seems to defy reason itself and encourage its readers to just think less. Go ask an engineer if a heat exchanger works best when blocked and then marvel at how this article could ever have been written much less published. Oh look, they cleaned 9 condensing units and fouling samples from two US locations and they want $15 for you to read the paper. 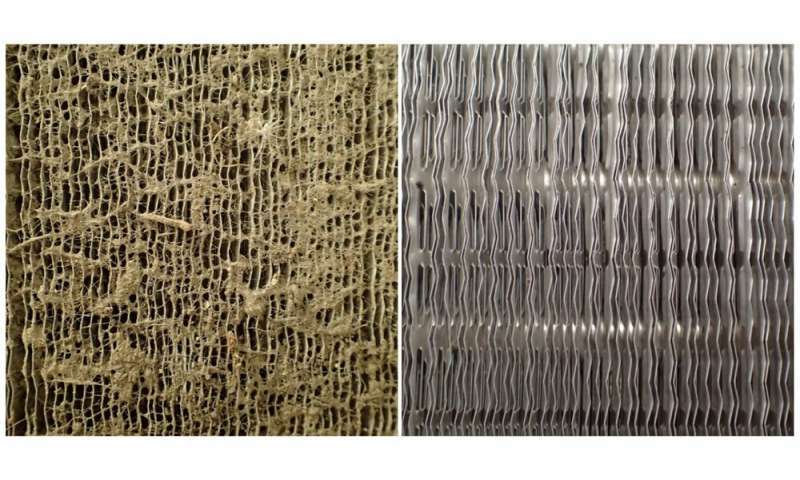 A bit of dirt isn't going to make a difference in the cooling performance, but it is going to make a difference in the rate of corrosion, because the dust and grime retains moisture and works as a sponge that keeps the metal surfaces from drying out. It's like a car - if you don't wash it every now and then, it rusts faster. Aluminum corrodes too, especially since the radiators are welded together with zinc so it's not pure aluminum but an alloy. Go ask an engineer if a heat exchanger works best when blocked and then marvel at how this article could ever have been written much less published. A shiny metal surface isn't the best radiator. For the basic physics of it, surfaces that reflect don't radiate well, whereas surfaces which absorb radiation well - rough matte black - are also better at releasing and radiating it out. Back when they started building central steam heating in buildings, they discovered that painting the radiators black made them give more heat. The paint is somewhat insulating, but the layer is so thin that it actually improves performance by making the surface give out heat more. We use this effect today in computers where the aluminum heatsinks are anodized matte rather than shiny - the oxide layer is insulating, but because it's rough and dull it's more efficient at radiating heat out. Sorry, the aluminum isn't welded, it's brazed using zinc. They form a galvanic pair where, once corrosion sets in, the heat exchanger comes apart at the seams. I suspect, where the performance decreased, the dirt on the surface was forced deeper into the fins, during the washing. the oxide layer is insulating, but because it's rough and dull it's more efficient at radiating heat out. Could it be, that in making it rough, the surface area is increased and thus radiates better. The first 3 trolls hand waved. While it is true that Conversation has non-rigorous and opinionated article the basis was published science, science do cost but above all publishing unfortunately still cost - don't blame the scientists. Well, we don't know, and suspicion makes no science. But please be our guest and make the necessary experiments! I'd like to know if they tested in ambient temperatures of 90F and 60% humidity. Hey jackass, science begins with hypothesis. This would be relevant if the discussion were about a blackbody radiator rather than a convective heat exchanger operating on forced air movement.